The datacenter facility location is as crucial to the trouble-free performance of your Australian-oriented site as the availability of enough server resources. 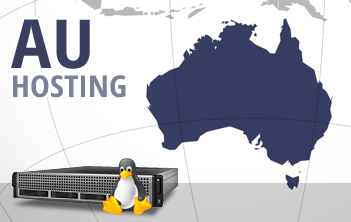 Simply pick your preferred web hosting package, then select the Australian data center facility from the pull-down menu and leave everything else to us. We'll set up your web hosting almost instantly and will give you fast access to our in-house developed, point-and-click hosting CP. By hosting your site close to your clients from Australia and Oceania, you ensure that they will enjoy faster web site loading speeds. If, however, you are not satisfied with the delivered speeds, you can take advantage of our thirty-day money-back guarantee.